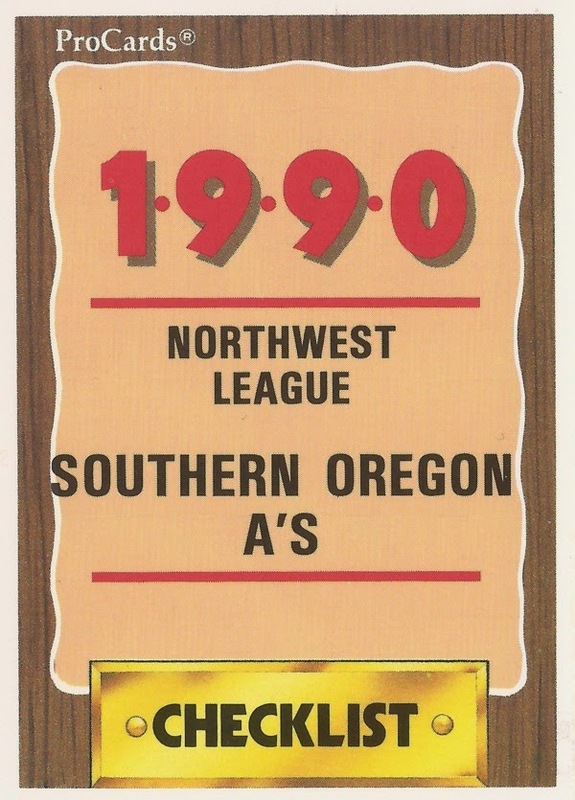 Features on each member of the 1990 Southern Oregon Athletics, short-season affiliate of the Oakland Athletics. 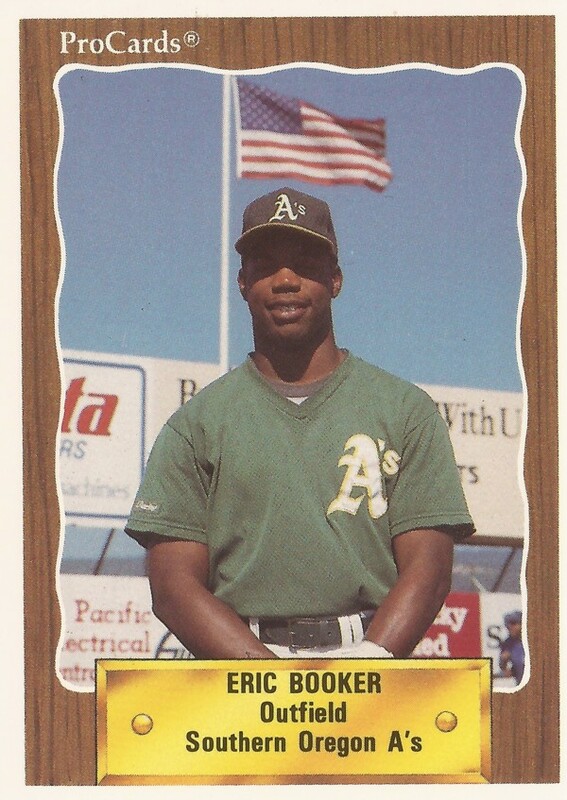 Eric Booker made the adjustment from college to the pros. He couldn't make the majors. Brad Brimhall played in the minors to make the majors. He never made it. Scott Budner wanted to make the bigs himself. He then helped others as a coach. Jeff Clifford helped touch off a brawl with 1990 pitch. He played a single season as a pro. Craig Connolly had a top year Penn in 1990. He played four seasons as a pro. Mark Craft helped seal a VMI win with a stolen pass. He played one pro season in baseball. Kevin Dattola became a team builder in independent ball. Jim Dillon stayed in college and improved his draft spot. He played three pro seasons. Kirk Dressendorfer made the majors quickly, then injuries came. Never made it back. Grady Fuson hung in there and has had long career as manager, scout and assistant general manager. Chaon Garland gained confidence in the pros. He played four seasons, never made the bigs. Chris Hart helped future major leaguer Derek Lowe have a bad outing. He never made the bigs himself. Eric Helfand had a great throwing arm in high school. It took him to the majors. Doug Johns showed pitch variety in his first major league win. Luis Lanfranco made the play of the game in a 1991 contest. Played three seasons. Manny Martinez wasn't nervous upon his return to the bigs. He then had his two best seasons. Rafael Mercado worked hard in independent ball and felt comfortable. He never made AA. Mike Muhlethaler called on his old coach to help him turn pro. He played a single season. Eric Myers was a molder of people as a college coach. He passed away in 2007 from a brain tumor. Don Peters got selected by the Athletics and he couldn't complain. Bill Picketts saw his future as a utility guy. He played just three seasons. Todd Revenig made it to the bigs when others didn't. He then didn't give up a run. Carlos Salazar won his district triple crown in college. He played four seasons as a pro. Curtis Shaw arrived at Kansas as a walk-on. He left as the 36th pick overall. Glenn Sudbury threw a no-hitter at Utah. He played four seasons as a pro, never made bigs. Carlos Tamarez put down a perfect bunt in a 1990 game. He played just two seasons as a pro. Dave Tripp settled down after he started concentrating. He played a single season as a pro. Todd Van Poppel's career wasn't as everyone had hoped. But he still had a long one. Dan Vizzini had a good year in college in 1990. He played just two seasons as a pro. Ernie Young won the Athletics leadoff spot in 1996. He played in eight major league seasons. Dave Zancanaro's career began with high hopes. Then injuries happened.